Has your mood changed since the clocks went backwards? I find shorter days and dark evenings quite depressing, do you? I don’t know whether it’s a lack of daylight or something else but when it’s dark I don’t feel like doing much. I don’t feel as motivated and I don’t think I am in the best mood either. Is it possible that I am suffering from SAD (Seasonal Affective Disorder) or is this just normal and many people feel like that in colder months? I don’t know the answer but what I do know is that if you suffer from Seasonal Affective Disorder, a bright light therapy is something that can help. SAD symptoms include low mood, lethargy, irritability and loss of interest in things you enjoy. You also feel like sleeping longer than normal and you crave carbohydrates. 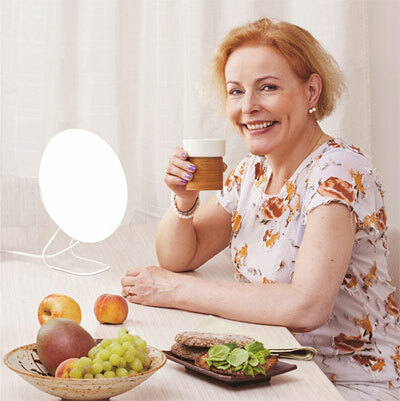 To treat SAD you can introduce a bright light therapy and at the same time work on your lifestyle and try to eat healthily and exercise regularly. I consider myself to be quite strong, mentally but I never know in colder months whether my mood would be better if I was exposed to natural light more often. That’s why I decided to put Rondo LED lamp from Innolux to test (although it doesn’t emit the natural light you find outdoors, it’s quite similar). If you are prone to SAD or ‘winter blues’, it’s recommended you start bright light therapy before any symptoms appear. I’ve been using Rondo Innolux LED light for more than a few weeks now. I keep it on my desk where it’s taking very little space and I turn it on normally in the morning, for maybe around an hour or so but I don’t use it every single day. So is it actually doing anything? I think it is. In the last few days I started to feel more motivated although I am not sure about my general mood, which is influenced by the amount of sleep and other factors as well. I should have kept a diary of my mood and light therapy sessions but I haven’t (it’s a good idea you do that though). But then I don’t know whether my increased motivation is because of this bright light or something else. It’s so difficult to say! I think using it for a longer period of time will really tell. It takes 1 to 2 weeks of daily use to see an improvement in mood and energy but for many people, a positive response comes quicker, even immediately. 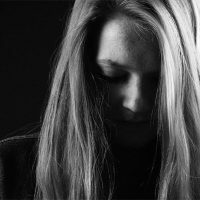 If you are worried that the bright light therapy may not work for you, you shouldn’t be really – there is an evidence that bright light therapy is an effective treatment for SAD, you just need to make sure you buy the right light box and use it correctly. Light intensity of 10 000 lux – this is 20 times the strength of typical indoor lighting and more effective than 2 500 lux. UV-free – ultraviolet rays are harmful to your body so you don’t want to be exposed to them during bright light therapy. Rondo LED lamp is very simple in design and quite compact. It doesn’t take much space so it’s perfect for your desk but you can also put in on a kitchen table and even on a coffee table. I think the design is spot on for people who don’t have too much space in their homes. The lamp is multi-functional and designed to be used year-round. Bright light therapy is not something you have to do every day. It really depends on your symptoms. It’s recommended to take a bright light session 3-5 times a week throughout the winter. If the symptoms are not relieved or they reappear, try daily sessions for 1-2 weeks. One session should last at least 30 minutes but you could increase the session to 2 hours, so that is more effective. Sessions longer than 2 hours do not intensify the effect further, but there is no harm in doing so. These recommendations only apply to bright light lamps with light intensity of 10 000 lux. For weaker SAD lamps, the sessions need to be longer. The best time to take sessions is in the morning between 6am and 8am but you can use the SAD lamp at other times as well, just make sure it’s before 6pm. A session in the evening may disturb your sleep. 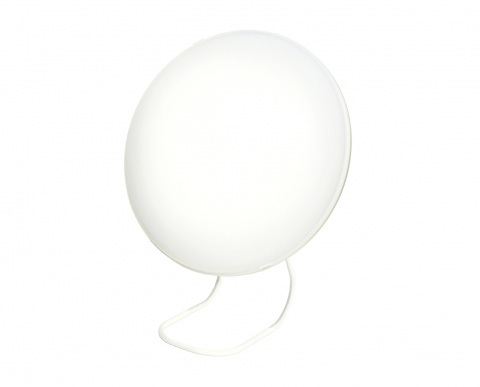 I found Rondo SAD Light Therapy lamp pleasant to use and of good quality. 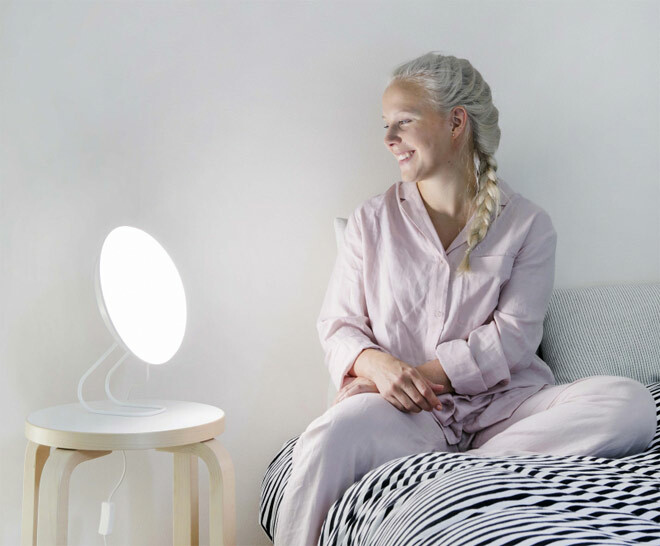 It’s made by Finnish lighting specialists who’ve been producing this type of lamps since the 1990s so you can rest assured you are buying something good and something that will last. I couldn’t find any faults with Rondo LED lamp, the only thing I would say is that it could be improved by adding another light intensity option (to use when you are not doing the bright light therapy). Saying that, there is actually a version of this SAD lamp with a dimmer but the only downside is that it costs a little bit more. 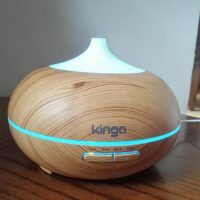 You can buy Rondo SAD light therapy lamp directly on PureLifestyleWonders website – currently you can get 5% off with a code SAD05. Disclaimer: I received this lamp free of charge in return for my honest review. This post contains affiliate links (I get a small commission if you purchase a product after clicking on a link. This does not cost you anything).